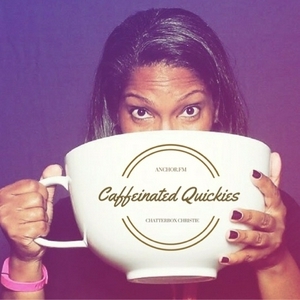 ChatterBox Christie's creative, clever, candid, and heavily caffeinated contemplations to consume with your cup of coffee. After watching one of Wil Smith’s live Instagram Stories, I got to thinking... is “Adulting” really as hard as we believe it is? Spoiler Brats are hell-bent on ruining entertainment experiences for everyone! They are the reason why we can’t have nice things! I Almost Quit You, Anchor.fm! Did you catch Oprah’s speech on The Golden Globes? If not, look it up. It was nothing short of amazing. If you thought the Me Too movement ruffled some feathers… y’all ain’t even ready for Times Up! Mercury is back in retrograde and causing all kinds of disturbances in “the force!” I’m chatting about how it affects you based on your Zodiac sign and my girl Lucrecer Braxton joins in! I’m dazzled by Prince Harry’s soon to be bride and so is the rest of the world. The media talks a lot about her but they fail to mention one pretty major detail… did you notice? Are Your Goals Crushing Your Dreams? How you are approaching and working on your goals could be making them harder to achieve. Don’t call it a comeback… well you could, I guess. 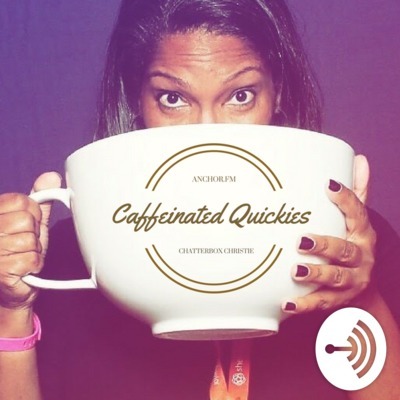 I’m reintroducing myself to the podcast world and telling you all about Caffeinated Quickies.